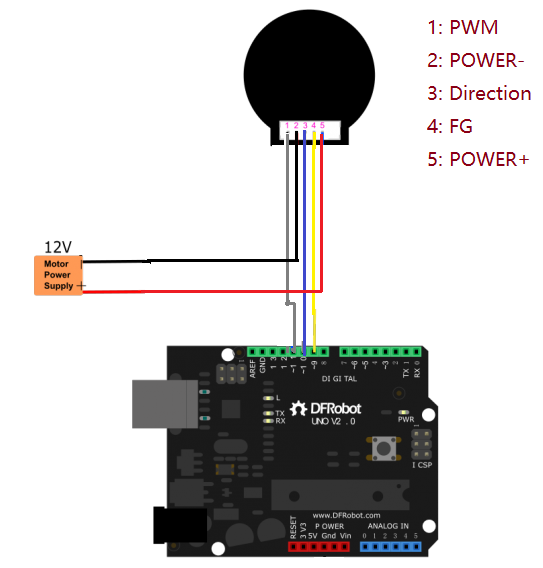 This is a new brushless DC motor with the added bonus of a built-in motor driver - this means it doesn't need any external motor drivers and you can connect it to an Arduino board directly! The brushless motor comes with direction control, PWM rotational speed control and frequency feedback output. It is suitable for miniature-sized mobile robotic platforms. With the motor speed feedback signal, it is useful in cyclic control systems. GND or cathode, motor moves backward. NOTE: Sometime, the manufacturer provides a different color cable, but the cable order is same. 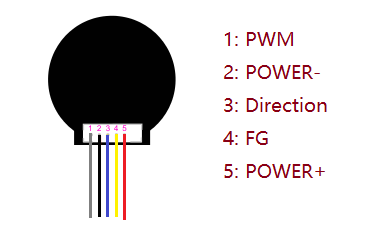 Here is a example how to use this motor, Just follow the guide, and you will get it work. First, prepare the following hardware and software. After the hardware, the module is connected with the UNO in the following diagram. NOTE: Remember to connect Arduino GND to the POWER-. 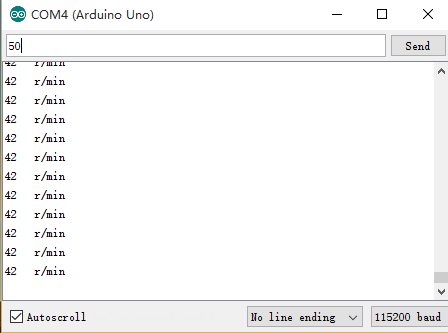 Open the Arduino IDE and copy the following code to the IDE. Select your board's serial port and the board type (e.g. Arduino UNO) and upload the sample code. The code will alternates its rotation direction every 5 seconds. 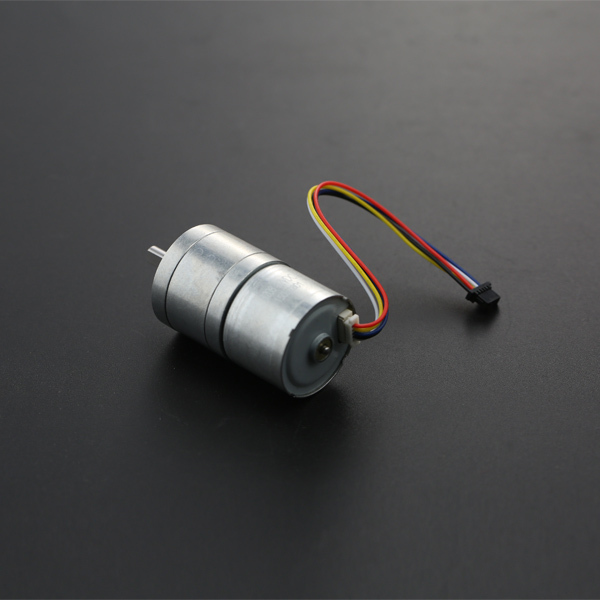 Get Brushless DC Motor with Encoder 12V 159RPM from DFRobot Store or DFRobot Distributor.